Visual Instagram is easy on the eyes, fun at the fingertips, but it doesn’t stop there. ALL through the use of Hashtags. Instagram is very hashtag-centric, and I want to explain a couple quick ways to help you make your Instagram platform work better and use it smarter all through the use of these quirky little sentences call hashtags. Don’t be too generic: Remember you want your future followers to stumble upon you and you don’t want to get lost in the shuffle. Brainstorm a few ideas, do a quick search of each, and see what and mostly how many other feeds show up. Use keywords to help you: In my post on SEO last month I show you exactly how to find keywords that fit your biz. Turn these words into hashtags and use them regularly on your posts. Use more than 2 and less than 30: You are allowed up to 30 hashtags in your Instagram post. So use BOTH specific AND more generic keywords in each of your posts. The “best” number of hastags? 11 or more. But all that really means is don’t stress about it. 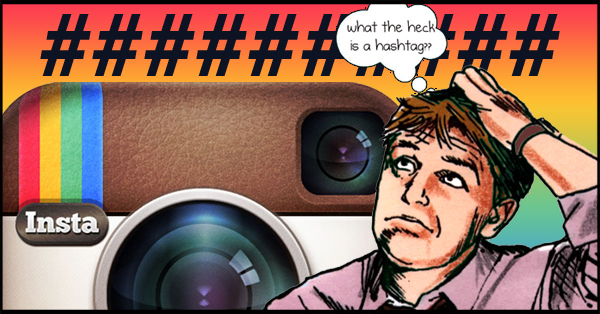 Hashtags are just a good bet, period, for growing your followers on Instagram. (stats from TrackMaven)Tip! Your hashtag does NOT have to be in your original post, it’s just as effective in the comments section. 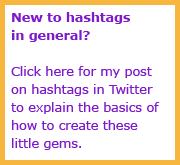 Quick hashtag lists when short on time: Need a quick list of popular tags in almost every category? Check this out Pick your topic, copy and paste, and voila! Insta-likes on Instagram. Be careful: Don’t use a banned hashtag or it, and possibly your post, will Not show up in the feed. Click here for an updated list on what IS and IS NOT currently allowed by Instagram. Keep track of your stats with Iconosquare: Learn which photos you post are most liked, most engaged with, track your averages and more advanced metrics that will help you fine tune your message as you go. Click here to learn more and sign up for a free account. That is taking a hot news story and making it relevant to your brand in a fun way. So your first step today? Just log on and do some searching. Take 5 minutes and plug in a few relevant words. See what pops up. Start getting inspiration from others in your niche. What tags do they use? How many? How relevant? How often? Which are most commented on by their followers? Tomorrow? Start posting your own. As always I’m here to help: follow me on Instagram @karenyankovich where you can comment, get ideas, ask for help. Share with me your favorite hashtag for your business and I’ll promote it in one of my posts! I have never heard that term but love the concept. You’ll be getting a shout out for teaching me that when I VLOG something that ties it all together! Susan use some of those sites I mentioned to find some fun hashtags, and just start using them! No need to overthink. Use them, tweak them, have fun. Do it! Connect with me and lets share pictures. Okay Karen…. It’s on my list… and I’m going to do it… !!!!! that was suppose to read hash tag you… but kinda like the hag bit! funny!!! that cracked me up, elizabeth! There is a #funny #video of #2 #comedians #making #strange #conversation about #hashtags when #I find it, #I will send it to #you. It was a SNL skit, I love it! Hilarious. Well sounds like you’re already doing it! 🙂 They still work when you’re joking. And they’re more fun that way! Me too Dana! I’ve been seeing #newsjacking all over the place lately! i also use hashtags as jokes since i don’t get them either (yet!). and instagram? i haven’t ventured in . . . (but it’s on my list!). Do it April, you’ll love it! It’s a great place to spread your lovely message even further. Great tips! It is great to know that Instagram can be used as a strong marketing tool. Sometimes it can be easy to get overwhelmed by all of the different marketing strategies with all of the social media outlets, but you make it very easy to understand and execute in an effective manner! Thank you! Instagram has been on my list to incorporate. These tips are really helpful!